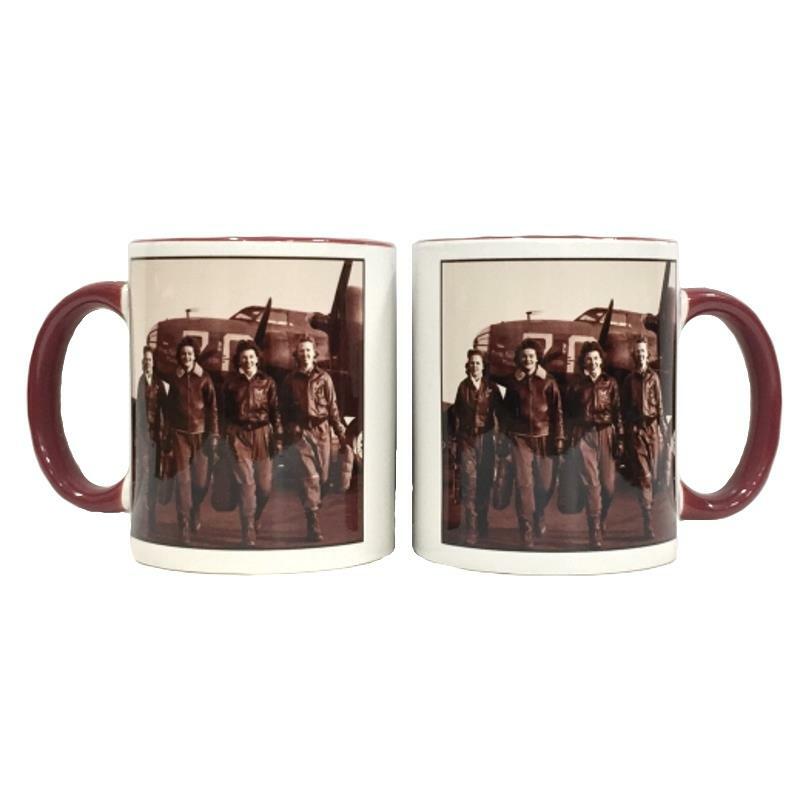 Mugs 20945 https://www.warplane.com/images/Products/20945.jpg Iconic Black and White photo of 4 WASP members after a flight in a B-17. Burgundy rim and handle. Description: Iconic Black and White photo of 4 WASP members after a flight in a B-17. Burgundy rim and handle.